Have you ever wanted to be able to create your own music? This is undoubtedly a dream, which many individuals have. Of course, it is one that many people will never be able to obtain. The good news is that technology has become more readily available and much more affordable in the past few years. 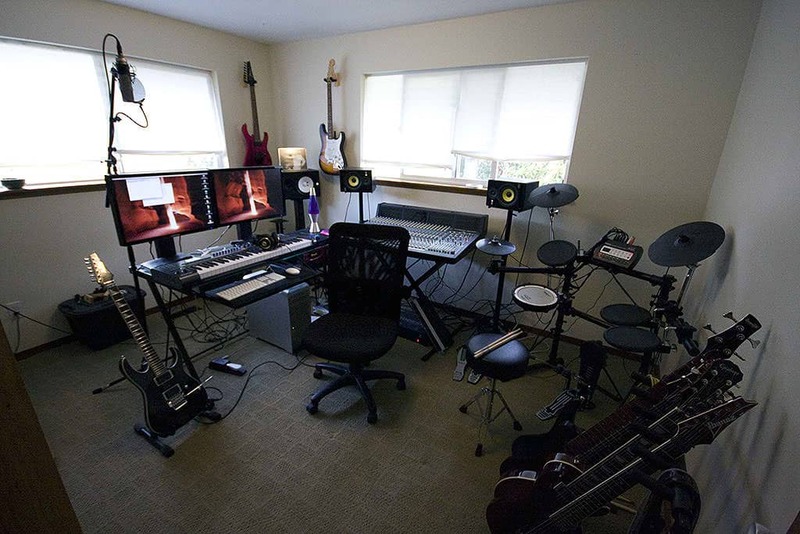 If you wish to create your own recording studio in your home, basement or bedroom, you’ll need a variety of different items. Beginners can generally scrape by with fewer items, while advanced musicians will want to obtain everything they could ever need for their home studio setup. Within this guide, you will learn about each of these components. What Do I Need for a Home Recording Studio? You will need a suitable location for your home recording studio. 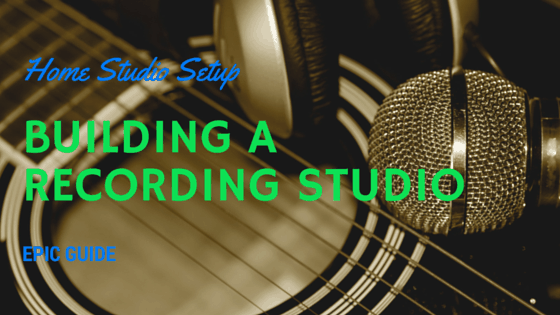 Building a recording studio will not be that difficult, but the main key will be the location. You must also factor in the allotted space, because this is will play a huge role in how much equipment you can have, plus do not forget about your band members, unless of course you plan on a solo career. Many homeowners will set up a bedroom recording studio, because it offers seclusion, privacy, and plenty of space. You may want the room to be set apart from the other bedrooms, because you do not want to disturb others, when you are practicing or recording. Once you’ve set aside enough space for your studio, you will want to begin exploring the other home studio essentials. The most expensive purchase you will make and potentially the most vital is a brand new computer. In this area, you will not want to opt for cheap studio equipment. Instead, you will want to splurge, as much as possible. In fact, you should attempt to obtain the fastest computer you can reasonably afford. The good news is that you may already have a computer, which is suitable for your small home studio. Almost all computers will be fast enough for this specific purpose. If you already have a decent computer, you can skip this purchase, save your money and put more money towards other items. If you take this path, it is generally recommended that you plan for an upgrade in the future. In all likelihood, your computer won’t be able to provide enough disk space to make it effective for your DIY recording studio. With this in mind, you will need to obtain some additional disk space. This can be achieved in a number of different manners. For starters, you may feel the need to purchase an external hard drive. This is definitely an excellent option, as it’ll allow you to maintain complete control over your music files. With an external hard drive, you can easily access and delete your files. The best aspect of all is that you won’t need to pay anything additional, once this piece of hardware has been purchased. Cloud-based storage is another option. When setting up a home recording studio, you should consider, whether or not you’re willing to spend monthly, because some Cloud-based storage options will require you to do so. 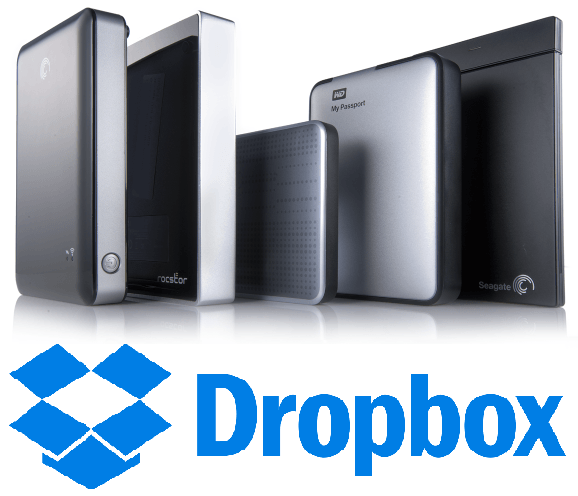 Cloud storage, such as dropbox has a number of benefits and can potentially keep your music safe in the event of an emergency or device malfunction. Regardless of the path you decide to follow, you should just make sure that you have enough space to accommodate all of your files. While most music enthusiasts will opt to use an audio interface combo, you can alternate this option with a digital audio workstation. There are many brands on today’s market, which means that you will need to do a bit of research to find one that is suitable for your needs. If you are serious about flexibility, then you need an audio interface combo that is compatible with a Mac and PC. If you fail to include the audio interface into your equipment list, you will risk not being able to record optimally, since nearly half of the gear’s power will be missing. It is crucial to select an interface that will be capable of connecting all of your audio equipment to your PC or Mac. While your computer is responsible for recognizing the digital signals and putting it into your music, the interface will convert the analog data into digital signals. As you can see the quality of your music will depend on the type and quality of your audio and recording equipment. There are many individuals, who wish will to take control of each aspect of their studio. If you fall into this category, you may wish to skip the audio interface combo and purchase a Digital Audio Workstation separately. This type of software is pertinent, regardless of your skill level and intentions. The software gives you the ability to record, mix, and alter your music, until it delivers total satisfaction. There are numerous DAW programs and each of them is somewhat different. 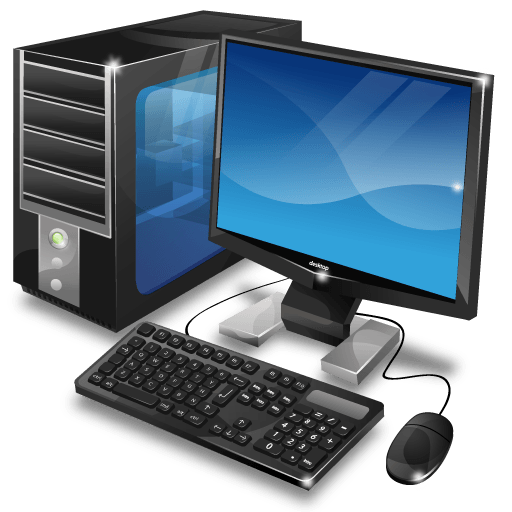 If you want to scrape by without spending on this software, you can do so. Of course, you should realise that this might decrease the features and functionality that you have access to. Still, some of the free options are definitely the best recording software for beginners. Opting for a full version is generally recommended, although it can be slightly costly. With a full DAW, you will be able to gain access to all of the tools and features needed to add your own style to your music. In all likelihood, you plan on producing your own vocals. In order to do this, you will need to obtain a worthwhile microphone suited to vocals. 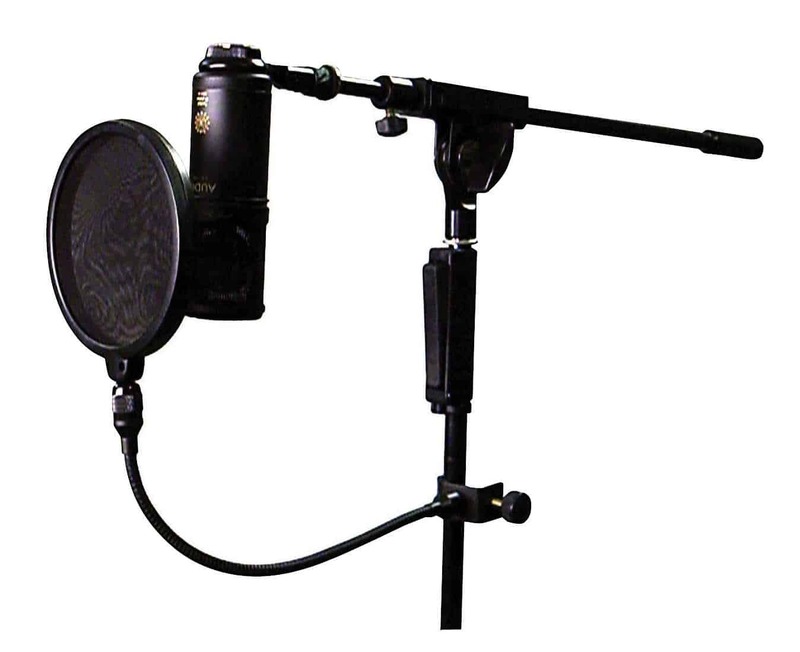 As you grow more experienced, you may wind up obtaining a large collection of microphones. As a newbie, this isn’t a necessity. In fact, you’ll only need a single microphone. When attempting to determine which microphone is best for your individualistic situation, you will need to consider your budget and the instruments that you use. Versatility and performance should also be considered. Now, you will want to consider, if you need any microphone accessories. Although these are referred to as accessories, they’ll actually be necessities for many musicians. For instance, a microphone stand will provide you with the ability to perform your music, without holding onto the microphone. 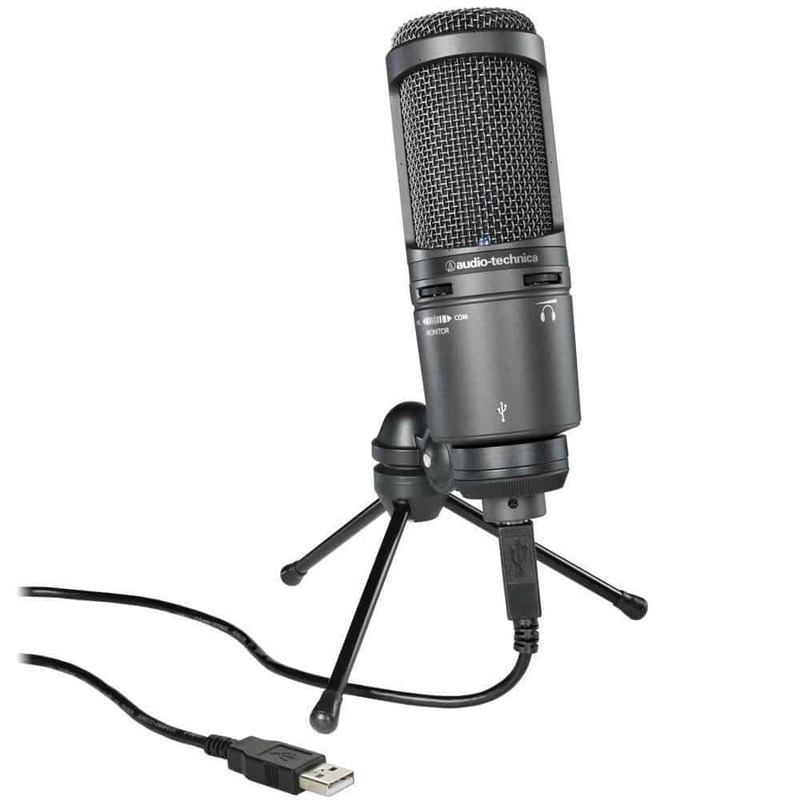 If you purchase a microphone, which does not include this item, you will definitely want to consider purchasing it separately. Also, you should consider purchasing a pop filter. This handy little gadget is capable of removing unwanted “B” and “P” consonant plosives from your audio. When selecting one of these filters, you will need to make sure that your choice is compatible with your microphone. The majority comes with a C-Clamp, which will connect to the stand’s shaft. Be sure that the clamp will fit on to your stand of choice. If you truly want to be able to monitor your audio, while it is being recorded, you will need a good pair of headphones. With a good pair of headphones, you will be able to listen closely to your music and pick up on the little sounds that could be enhanced further. When building a recording studio, you should not neglect the paramount importance of your headphones. Remember that you really only need a single pair of headphones, unless you’re working alongside another musician. When shopping for studio headphones, you will have two styles available to you. 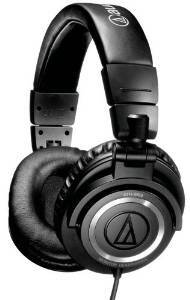 It is possible to opt for closed backed headphones, which are best for tracking. Or, you can purchase open back headphones, which are generally recommended for mixing. The former models deliver enhanced isolation, but tend to produce less brilliant sound quality. Open back models deliver impressive sound quality, but less isolation. 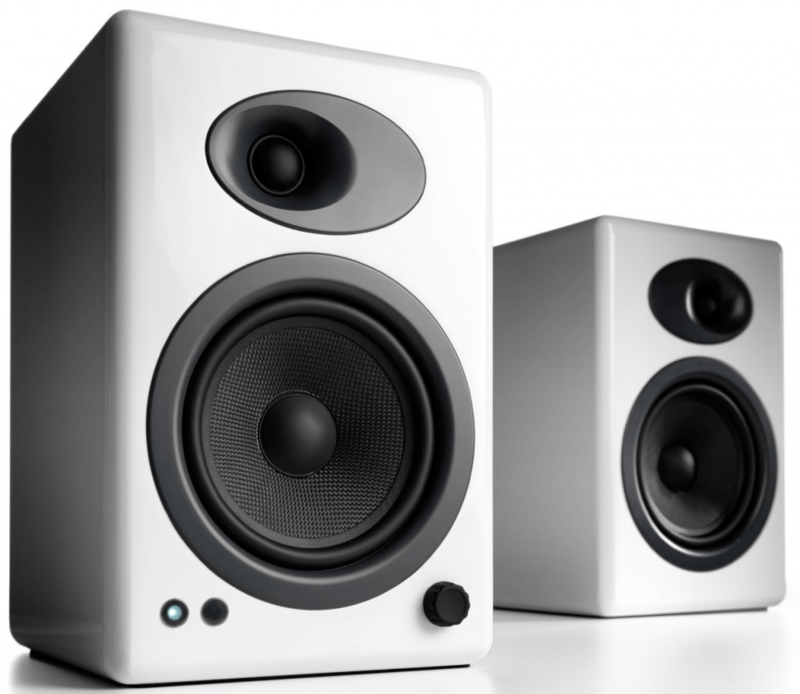 A recording studio must have a variety of studio monito﻿rs, because they are responsible for producing audio applications and high-quality sounds. These loudspeakers are equipped with components that will allow the musician to monitor the sound quality of an amateur or professional recording. Most of these hi-fi monitors are compact in size, so they will not bog up your studio space. Of course, you will find the traditional studio monitor on the market, but these are robustly designed and will require an immense storage space. A high-quality studio monitor will be able to withstand a lot of wear and tear, high volumes, and sound bursts that will occur during playbacks. While most professional recording studios will employ audio engineers to monitor their loudspeakers, you will not have this option available to you. Before you actually make your final selection on which studio monitors to purchase, you should take the time to do a thorough review of each brand. If you are willing to spend a little extra on these audio devices, you should very well do so, because a well-known brand will offer programs that are free of audible distortion and external noises. In order to connect your devices together, you will likely need to invest in some XLR connectors. These electrical connectors are utilized for various purposes, including professional audio and stage lighting. The cables are commonly referred to as microphone cables and this tends to be their typical purpose in the home studio. 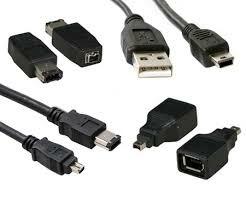 When purchasing these cables, the majority of experts recommend opting for the 3 pin models. These tend to be a little more effective for this specific purpose. With the 3-pin model, two pins will be responsible for transmitting the audio, while the remainder is responsible for grounding the voltage. This configuration generally produces an enjoyable performance, without canceling out any of the noise. As a beginner, you may or may not need a DI box. 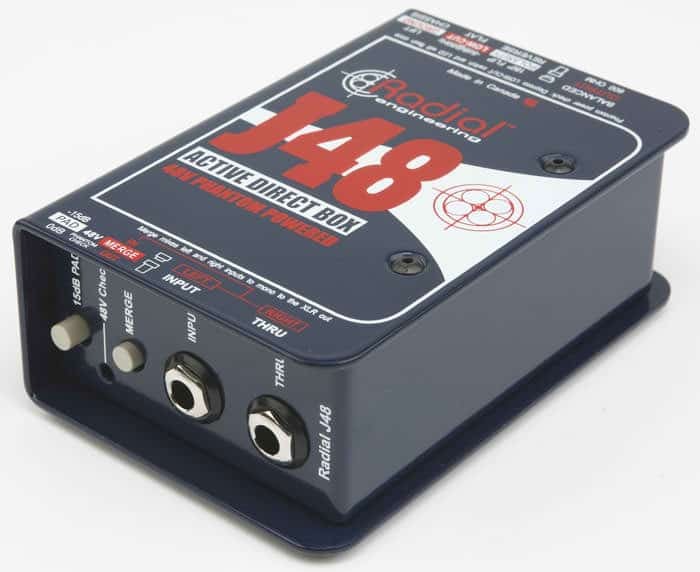 This device is frequently used in recording studios as a way to connect high-impedance outputs to low impedance inputs. If you decide that this box is necessary, it will need to be used with XLR connectors, which were mentioned above. The box is utilized for level matching purposes and can also balance the music. When attempting to purchase one of these units, you will find many differentials between them. Some are passive, while others are active. Although these devices aren’t necessary for the beginning, you may want to add one in the near future. There are several different types of control surfaces available and each one will offer a variety of benefits. This hardware device is responsible for controlling the mixers found in computer software, but they are not classified as a mixer. The control surface will produce MIDI data that the computer software will recognize, but it does not mix the audio in any shape, fashion, or form. 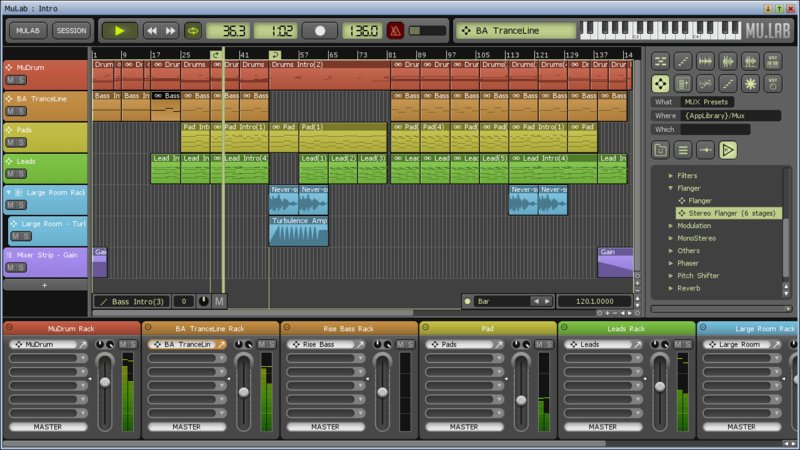 DAW or digital audio workstation software will allow the musician to edit multiple audio and MIDI tracks simultaneously. The DAW control surface can make all of your studio recording tasks so much easier. It connects directly to your computer and allows the user to manipulate their computer applications via MIDI commands. It should be known that USB and Firewire two similar, but somewhat different high-speed bus technologies. They both serve the same purpose of allowing your devices to be connected to your computer. The technologies are not actually integrated, so attempting to transform from one to another can be somewhat complicated. Although this cord is somewhat unnecessary for many, especially beginners, you should consider the purchase in the future. The cable will help to ensure that your devices are all compatible with one another, regardless of their existing configuration. USB to Firewall cables can be purchased here. Now, you should make sure that you have enough cable to connect all of your devices together. 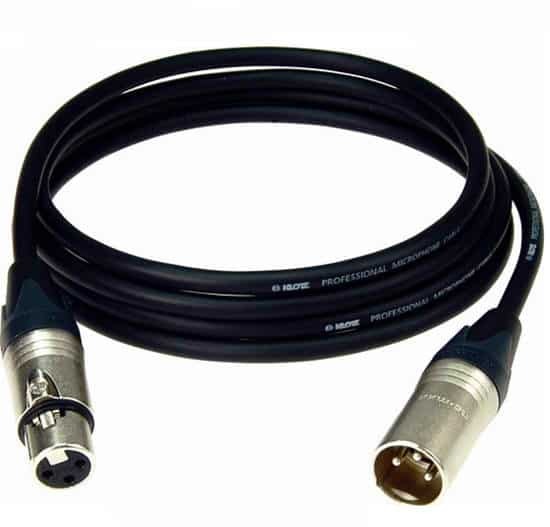 In this regard, you’ll want to invest in some pro-grade 6.35mm TRS to XLR cables. These are absolutely vital for transmitting audio from TRS equipment to XLR devices. When making this investment, you should check out the number of pins on the XLR connection, as well as the cable gauge. 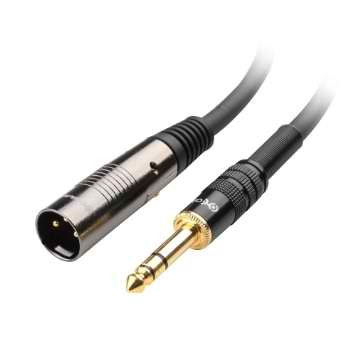 6.35mm TRS to XLR cables can be purchased here. All in all, there are numerous things that need to be purchased when configuring your home studio setup. Although some of the items above are optional for beginners, they’re absolutely pertinent for advanced musicians. Be sure to examine each and consider adding all of these components to your home’s recording studio right now.